Creative works are increasingly valuable assets of just about every business. One of the most valuable legal tools creative and innovative people and companies can spend their legal dollars is to obtain a federal copyright registration to protect their creative works. We have been helping innovators, whether technical or creative, for many years, including assisting in the registration of copyrights in the US. As such, we are able to handle most US Copyright Office copyright registration applications on a flat fee basis. This allows our clients to better manage expenses and prioritize their resources. For a flat fee of $500 for most works (or $750 for software and smartphone apps) we will prepare and file the US Copyright Office copyright registration application. Our fee also includes the required US Copyright Office filing fee. In addition, we don’t charge for our consultations with you to ensure your application will have the best chance of success, and that your registration will be as broad and as strong as possible. Many business owners need legal help to obtain a copyright registration, but are afraid of paying unknown, possibly huge legal fees. To ensure against potential “sticker shock” of a huge legal bill, we tell clients upfront what costs to expect to from us to prepare and file a US Copyright Office copyright registration application (see above). Some companies try to minimize costs by doing it themselves or by using online services like www.legalzoom.com, rather than working with competent legal counsel. While such options are fine in certain circumstances, the danger with online services or “do it yourself” instead of an attorney to assist with your copyright registration application is that the US Copyright Office registration process is not forgiving of errors and omissions – some of which can be fatal to your registration application. In addition, even if you are successful in obtaining a copyright registration, the particular way in which the application forms and requirements are completed can have a tremendous impact on the strength and value of your registration (or lack thereof). 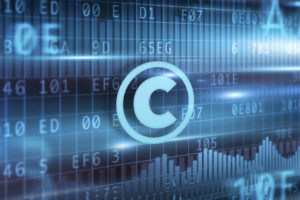 Only experienced intellectual property lawyers who routinely deal with the US Copyright Office can adequately advise you on how to get the strongest protection under U.S. copyright law. With our flat fee services, you get the best of both worlds: trustworthy expert advice and assistance to walk you through the entire process of applying for and registering your work with the US Copyright Office at an affordable, transparent, and predictable cost. The filing of a copyright registration application is not the end – it is the beginning of the federal registration process. This process can take several months, and can sometimes require additional legal work. The flat fee would NOT include any work needed on the application, if any, after filing – which would be billed hourly at our standard rates. Any additional work which may be needed is impossible to estimate prior to filing. If more work than an hour or so of additional work were to become necessary, the client is consulted before any work is initiated. In some instances, a flat fee is not appropriate. In those situations, we would tell you in advance what costs to anticipate.